Cyclones pre rolled hemp cones are made of hemp and are the greatest smoke you'll ever experience. Cyclones flavor system allows for a super long lasting flavor that you will love. 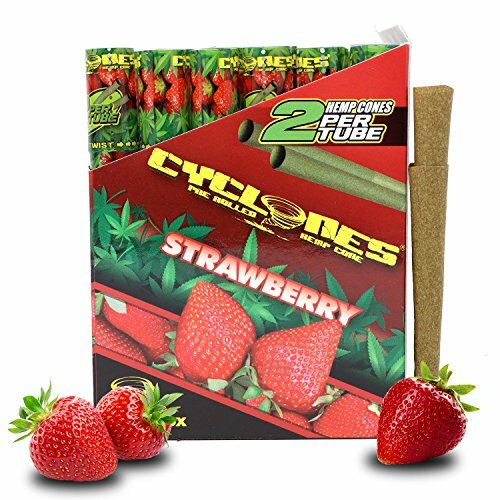 The Cyclone cone is 100% pre-rolled and comes with a filling/packing stick. Not only is it easy to fill, but it comes in a flavor sealing reusable tube. You can even use the tube as a snuffer to extinguish a partially burning Cyclone. Made From Natural Hemp, NO TOBACCO! If you have any questions about this product by Cyclones, ES Distributions, contact us by completing and submitting the form below. If you are looking for a specif part number, please include it with your message.